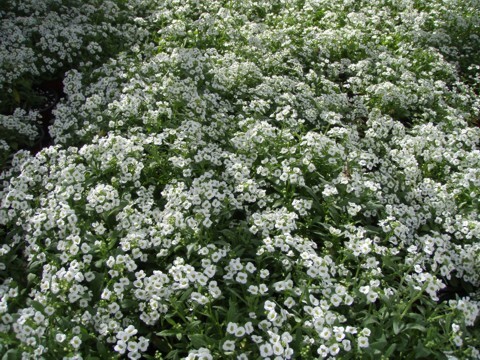 Alyssum Clear Crystal White - Brad's Bedding Plants, Inc. The Vigorous, 6 inch tall plants are compact, and well- branched. Perfect for pots, baskets and borders. The biggest flowered Teraploid white available. Grows up to 6” tall by 6”-10” wide. Full Sun to partial shade.